Whether just for you, your party, or everyone involved, tell us the services you need for the big day and/or for a trial. We book up to 25 months in advance so please reach out as soon as possible to confirm availability and get a quote. 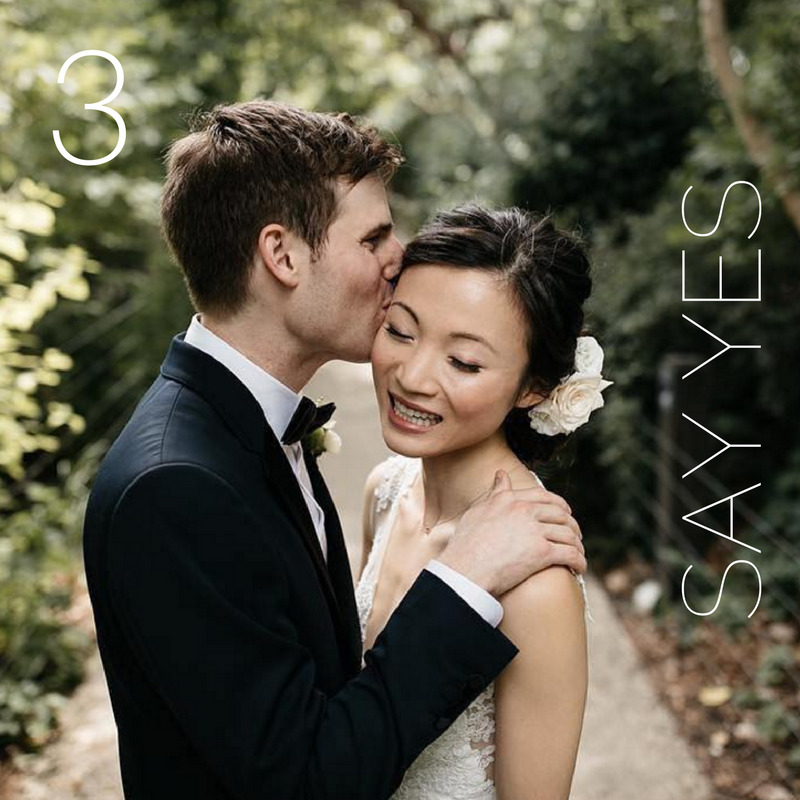 If you know you want us to be a part of your big day, you can complete a non-refundable retainer for 50% of the package you wish to book and then schedule a trial run when you are ready. 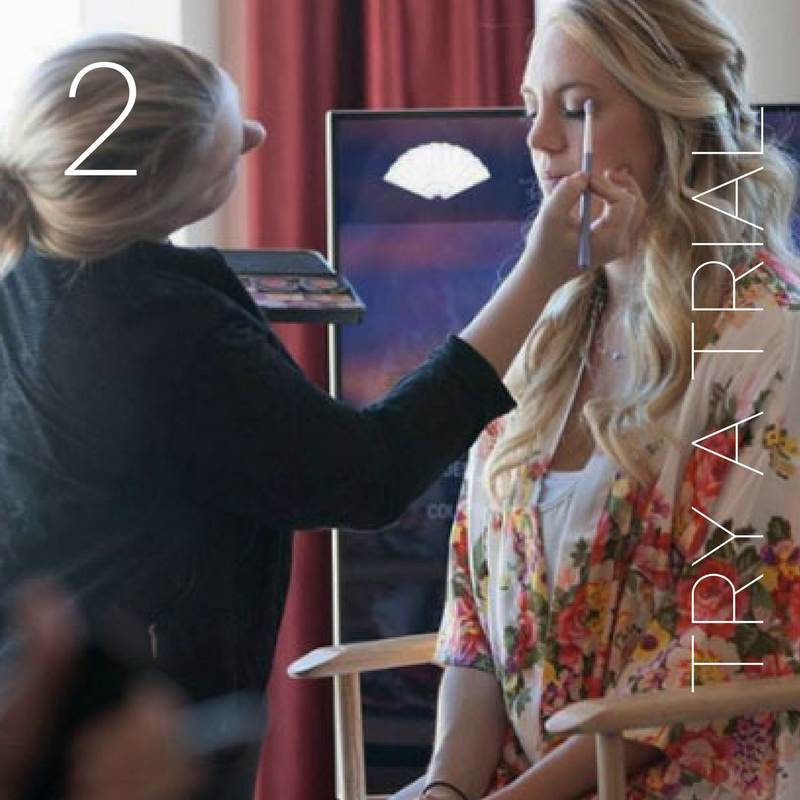 To book a trial, you will complete a form about your beauty vision, your prepayment of the trial and your agreements. The non-refundable retainer allows you to hold an artist for your date until 48 hours after your trial provided the trial is within 30 days. Availability changes daily, sometimes hourly, and we want to ensure you have the same artist for your trial and wedding. Not happy after your trial? Not a problem! You owe nothing else, and your artist and date are released. Want to try another artist? We’d be happy to set up a 2nd trial at no additional cost provided there is still availability for your date. Don’t need a trial? Jump straight to booking your Wedding Day Only Services! Additional trial info can be found on our FAQ page. Additional pricing, services and scheduling information can be found on our FAQ page or through our contact form. 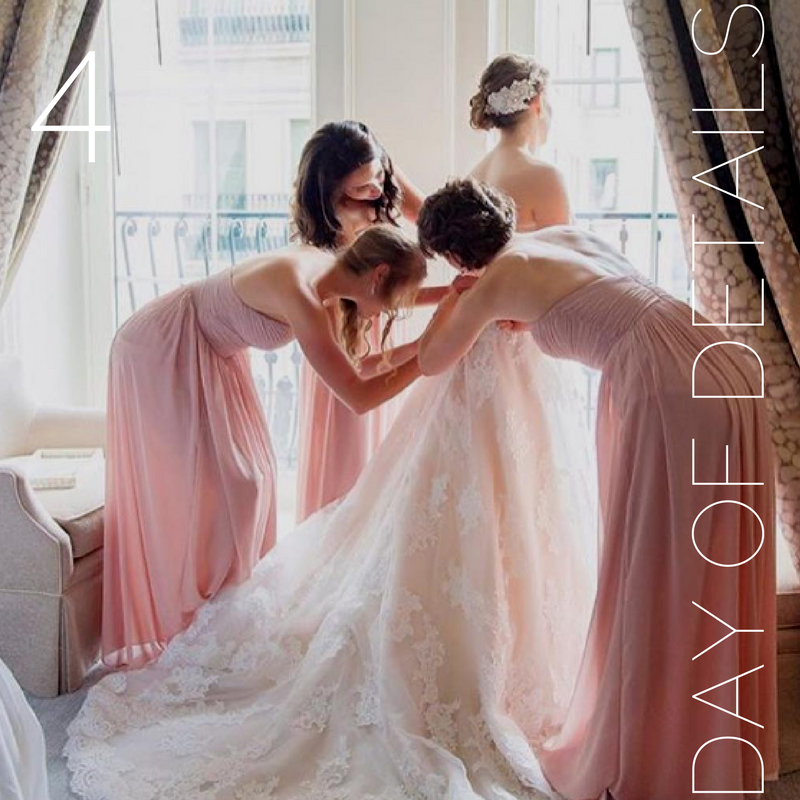 After your balance payment, we will work with you to create the services schedule with a detailed plan and all with appropriate time-cushions, eliminating the stress and worry from your big day. We will also provide detailed instructions for you to pass along to your party so everyone knows how best to prepare for their services. The big day has arrived and we want nothing more than for you to feel like the most beautiful version of yourself! When emotions are at an all-time high, our team will work diligently to make sure that everything runs smoothly so you can relax and enjoy every moment.